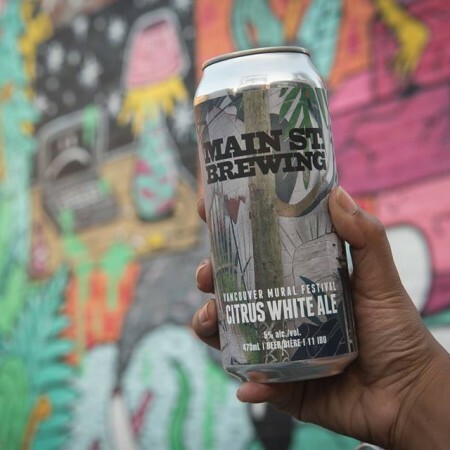 VANCOUVER, BC – Main Street Brewing has announced the release of a new limited edition beer in support of a local public art festival. This limited release gets it’s citrus notes from the Japanese fruit, yuzu. This along with a combination of orange peel & coriander creates a mouth-watering beer. Partial proceeds from the sale of Citrus White Ale will be donated to the Vancouver Mural Festival, which runs from August 6th to 11th throughout the city. To further connect the beer to the event, it’s been released with six different can designs, each featuring a different mural. Citrus White Ale is available now at Main Street Brewing while supplies last.